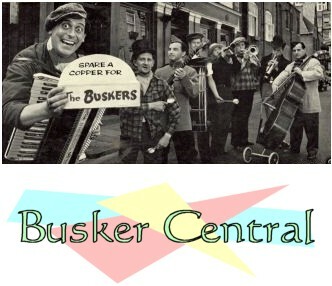 Busker Central appreciates your interest in busking and street performing. If you've learned from this website and wish to contribute, we ask that you take into consideration three basic ways below. INSIGHT - Write an interesting perspective on busking from your first hand knowledge. ILLUSTRATE - Draw a funny cartoon for the Busker Central comics gallery. DONATE - Send monetary donations securely via Paypal online payment gateway. Passing the virtual hat helps compensate annual costs of presenting Busker Central on the world wide web totally ad-free and absolutely free. While Busker Central strives to be ad-free, the website takes money, time, and staff to properly maintain and update. By donating to Busker Central, you're actually helping other buskers through your gift and keeping access open to the Internet's premier busking and street performing reference site. Along with our sister-site Busker Alley, we have literally hundreds of video clips on display. They are presented instantly for your viewing pleasure in both SD and HD. Donations help cover shooting expenses for new and exciting busker film presentations already in production. If you're in the spirit of giving and feel you can make a difference, please let our virtual hat know. All donations are applied towards Busker Central operations. Keep Busker Central non-profit, ad-free, up-to-date, and accessible.